It’s the middle of October and you may be thinking its too early to begin worrying about the holidays. Think again. Each year they sneak up quicker but this year will be your year to shine. Getting an early start is the best way to enjoy the time of year meant for family. And what’s the first thing your family will see when they pull up? Your landscape. No time of year is landscape lighting more appreciated than around the holidays. 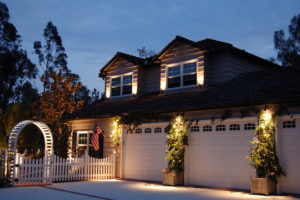 The soft glow against your home’s facade and throughout your landscape provides an instant feeling of warmth. It says, “come in, sit down, and enjoy the company of friends and family.” Here at Total Sprinkler and Lighting, we like that feeling and we want to do our best to bring that to you. 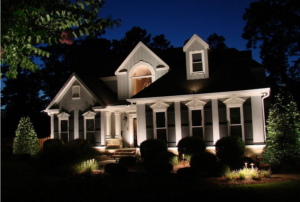 Our landscape lighting page has resources like product guides, and our project gallery has images of lighting work we’ve completed. Take a walk through our website to get ideas for your home or call us to schedule a design consultation. We can typically install your low voltage LED system in less than two days. But don’t wait. Make that call and get on the schedule before the season gets into full swing; then reward yourself with a chilly evening, hot cocoa, and the glow of a job well done.